It’s popularly known as a man basket. But its official name is crane and personnel platform. 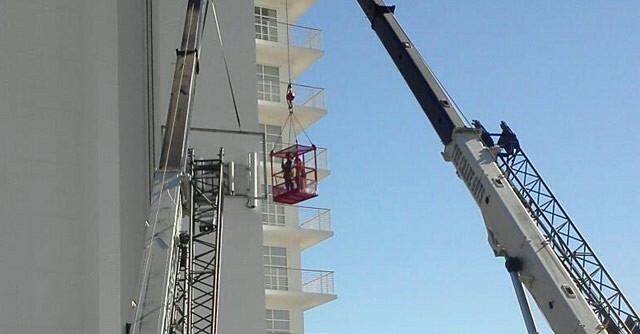 Attached to the tip of a crane, personnel platforms are used to carry work crews to heights not safely reached by ladder or scaffold, such as cell towers. With safety as a number one priority, The Crane Guys has made man baskets an integral component of their comprehensive crane rental services. As with all other aspects of their crane rental services, The Crane Guys covers every possible need with a diversity of man basket options. In fact, they offer the widest range of personnel platforms in the state of California. What you need, they’ve got. Let’s start with reach. At The Crane Guys, personnel platforms cover the height spectrum from one end to the other. 30’ man baskets, for instance, are ideal for modest lifts. If you’re going to the clouds, however, The Crane Guys offers platforms that safely deliver crews all the way to a height of 327’. And you can bet there’s always room for everyone, with 2, 4, or 6-man suspended platforms available round the clock. At The Crane Guys’, personnel platforms provide worker safety to a variety of industries. One of the most common is telecom, whose cell towers rise from heights of 50’ all the way up to 200’. When a tower needs a repair or upgrade, personnel platforms are indispensable for getting work crews safely into the right position. Of major use to the telecom industry is the suspended personnel platform (or hanging man basket). Attached to a crane by a set of chains, suspended personnel platforms can be guided into precise positions impossible to reach with fixed platforms. For telecom repair and installation crews, hanging man baskets provide the maneuverability needed to reach even the tightest spots. While telecom makes frequent use of suspended personnel platforms, many other industries also utilize these baskets for a variety of jobs. For more basic lifts, The Crane Guys provides a comprehensive selection of fixed personnel platforms. These baskets are connected to the tip of crane, which hoists them to the desired level without much maneuvering. Whether you call them personnel platforms or man baskets, these indispensable components definitely give work crews the right lift, no matter how far they must travel. 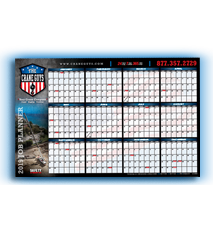 To learn more, connect with the team that maximizes worker safety with a wide range of fixed and suspended personnel platforms. The Crane Guys – Where success is always within reach.